Hey guys! It seems the SUBOX Mini is the hottest item in the vapeosphere at the moment. It is simply a must have for any cutting edge vape connoisseur. So you’ve decided to buy it but aren’t sure where to buy or with what to buy it with. It doesn’t have a battery, what kind do you need? Now you have your batteries, should you charge in the unit though? Then what charger? We’ll answer all of these questions and give you the best way to maximize your savings on the the whole lot below! So let’s get to it! This is the easy part. 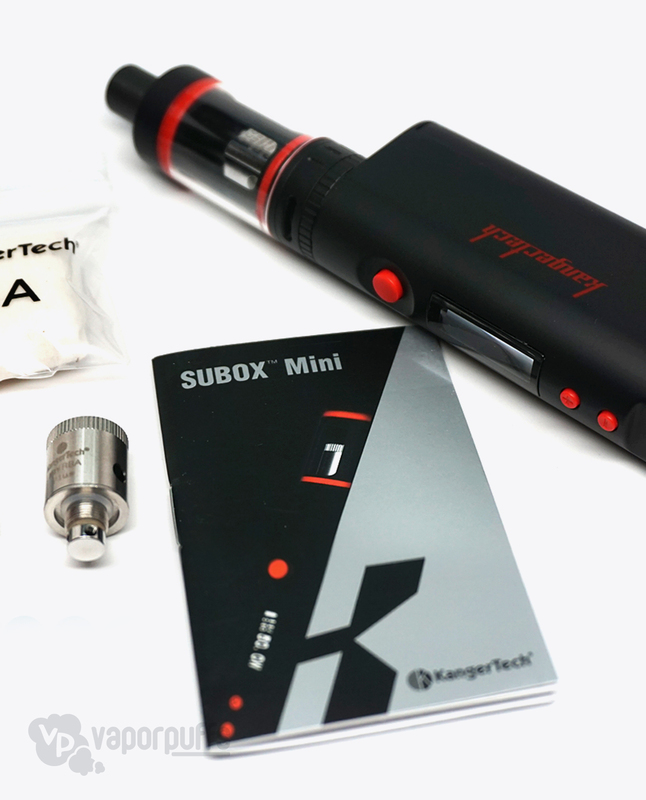 We’ve got the SUBOX Mini Starter Kit up for just $69.95! While the SUBOX Mini does allow for charging within the unit itself that can always be a bit finicky. 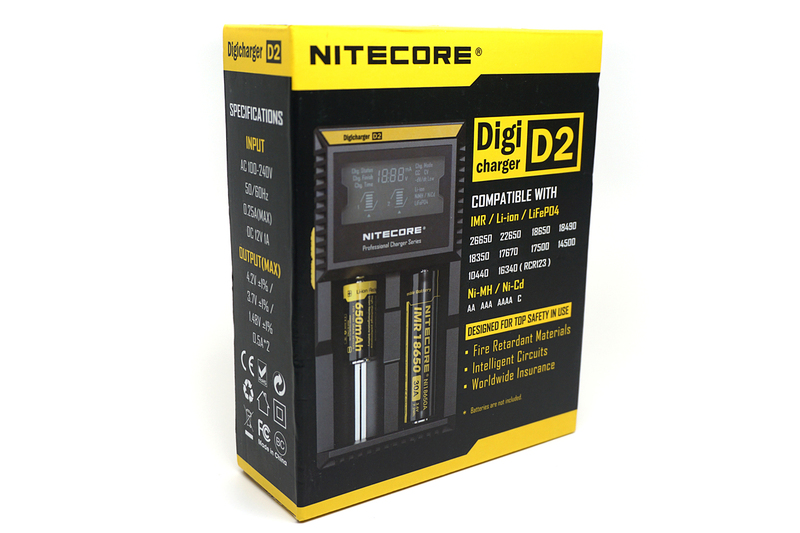 We recommend coupling it with the Nitecore D2 charger. It’s essentially a catch all charger, buy it once and charge all of the batteries! Don’t buy those two just yet though, make sure to make an account first. This will automatically get you 500 VP Points, worth $5 in credit, to use on your order and you’ll then earn 8 points for every dollar you spend. That even includes the dollars covered by points! Trust me, making points on points feels pretty good. This will bring your total up to just $99.90, which you’ll make 839 points on! The SUBOX Mini uses 18650 batteries, we recommend you go with the Samsung 18650-25R 2500mAh Batteries. Using your points you made on your first order, you can get these babies for just $7.56 and you’ll earn 128 points to use on a later purchase! That may all seem a bit tricky but its the absolute best way to maximize your savings while keeping the security of our 6 month limited warranty on all of our products. In total you’ll spend just $107.46. 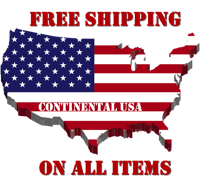 No shipping charges and we cover the tax. You’ll even have 128 points left over to spend on some great organic eLiquid from Keystone Vapor, if you’d like! Welcome to the vapor puffs guide on how to use the SMPL Mech Mod. In this guide, we’ll start off by looking at the individual parts of the SMPL Mech Mod and then move onto showing how to use it. 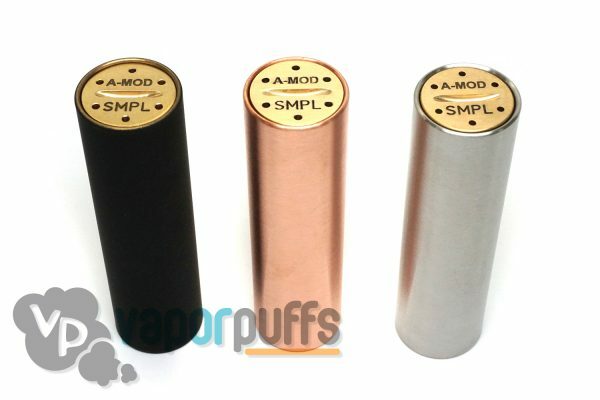 What is the SMPL Mech Mod? Created as a stripped down, easy to use Mech Mod, the SMPL Mech Mod is a fully analog mod with no adjustable parts and no caps. Threading Connection – Found at the top of the SMPL Mech Mod, it’s got nothing other than a small hole with 510 threading for your atomizer. The atomizer will make a direct connection to the battery that is within the SMPL. Battery Tube – The main body of the SMPL, this will be the tube that holds your battery. Firing Button – The SMPL has it’s own unique firing button, in that it is not a button at all. Instead, it’s a threaded ‘cap’ that has an indent in the center that is used to lock the button down or unlock it. Using a coin, or some other small item, twist the firing button counter-clockwise until it is unlocked from the SMPL. Once open, insert your 18650 battery into the SMPL with the positive side leading the way. Re-attach the firing button, but not all the way. Since there’s no ‘formal’ firing button, once it’s pushed in all the way it’ll immediately start sending out voltage. Grab your 510 threaded atomizer and line it up with the threading connection at the top of the SMPL. Then, twist the atomizer clockwise until it’s firmly attached to the SMPL. Now you can twist the firing button until it’s all the way in. The vaporizing process should begin, and everything should come easily from here. Just like the name says, it should all be very simple. 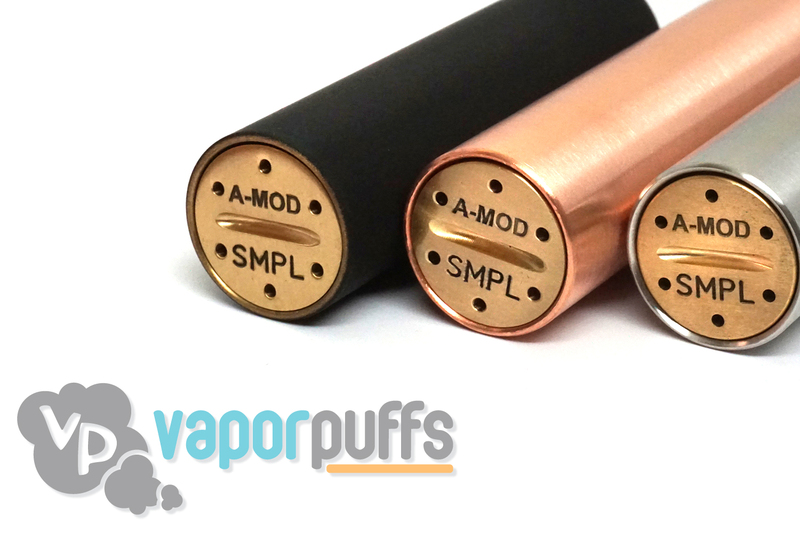 Thanks for Reading our Guide on how to Use the SMPL Mech Mod! We hope we’ve cleared things up for you, and that you’ve got everything running smoothly. 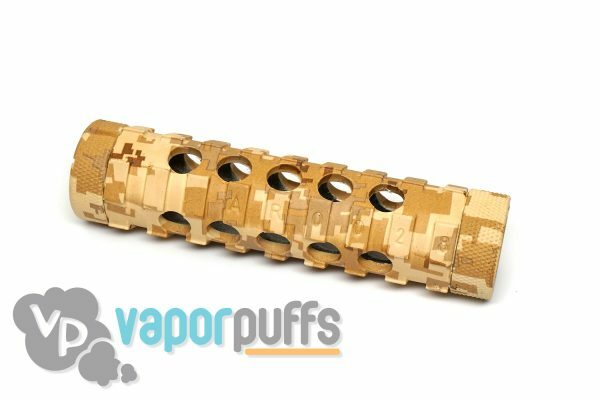 Welcome to the Vapor Puffs guide on how to use the AR Desert Camo Mech Mod. This guide will start by giving a bit of a run down on the parts of the AR Desert Camo Mech Mod before going into a step by step guide on how to make it work. What Is The AR Desert Camo Mech Mod? The AR Desert Camo Mech Mod is an analog mod covered from top to bottom in vent holes. They’re made for use with 18650 batteries. Threading Connection-Top Cap – Found at the top end, this side has a 510 threaded hole on the outside. When removed, it reveals a Silver and Copper plated surface that will make contact with the battery. Battery Tube – This is the main part of the AR Desert Camo, and it’s where your batteries will go into. It’s covered in vent holes, 20 total. Firing Button-Bottom Cap – On the bottom end is the firing button that will make the second silver and copper plated contact connect to the battery when pushed. First, we’re going to have to insert the battery into the AR Desert Camo Mech Mod. In order to do that, remove the bottom cap from the battery tube. Now, insert your batteries into the battery tube with the positive end towards the top cap. Afterwards, re-attach the bottom cap to the battery tube. Now grab your 510 threaded Atomizer and attach it to the 510 threading connection on the top cap by lining it up with the threading hole and then twisting it clockwise until it’s attached. Once everything is good to go, hit the firing button on the bottom of the AR Desert Camo Mech Mod and hold it down. You should notice your atomizer begin to work, and from here on everything should come naturally. 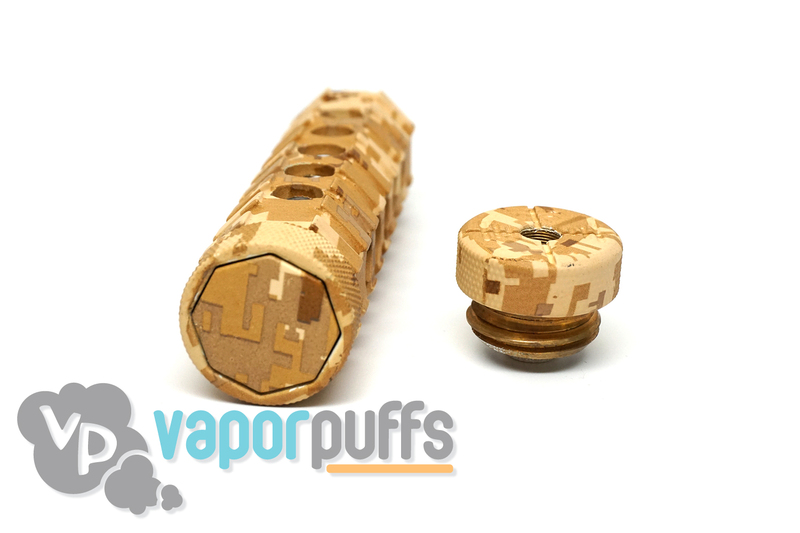 Thanks For Reading Our Guide On How To Use The AR Desert Camo Mech Mod! We hope we’ve helped you get it working. If “volts” bring to mind overhyped electric cars and “ohms” make you think of the sound you make when you meditate, entering the realm of vaping might be a little overwhelming at first. There are about a million options for batteries, atomizers, cartomizers, clearomizers, and everything else under the sun, and nary a useful guide on how to even begin choosing between them. Well, in that case, you’ve come to the right place. Let me take you through a quick guide to the technical side of vaping. Don’t worry, I’ll be gentle. There are three important physics concepts at work in a vaporizer (and, for that matter, most electronic devices): voltage, resistance, and their dependent cousin, wattage. Since I assume you haven’t taken a look at an electromagnetism book in a while and need a refresher on what these things are and what they do, let’s get to it. Voltage is the core determining quality of a battery. It basically denotes the difference in electric potential between one end of the battery and the other. Electric potential in turn, is the amount of electric energy that a battery may or may not actualize. Usually, and certainly in the context of vaporizers, higher voltage will lead to a higher energy output. The most important thing to keep in mind here is that voltage is a function of the battery. Thus, in order to control voltage, you need the right kind of battery. Voltage is usually measured in volts. TL;DR: Voltage is a quality of a vaporizer battery. The higher the voltage, the higher the heat output, all other things being equal. Unlike voltage, resistance is a function of the heating unit of each vaporizer. Electrical resistance, analogous to resistance in other contexts, is the degree to which a particular part of an electrical circuit impedes the flow of electrical current. Various materials exhibit different levels of electrical resistance; cotton, for instance, is so high resistance that current cannot flow through it at all, while highly conductive materials used for electrical exhibit very little resistance and thus lead to very little loss of energy along the way. In a vaporizer’s electrical circuit, energy flowing from the battery to the heating coil and back to the battery will encounter an area of increased resistance in the coil, which is made of a high-resistance material, forcing it to slow down and basically crowd up in the area of the coil. This slowed, “crowded” electric energy is what actually heats up the coil. Resistance is usually measured in Ohms. TL;DR: Resistance is a quality of the atomizer coil. The higher the resistance, the lower the power output, all other things being equal. Wattage, by contrast, is a measure of the “power” of a vape. And for a vape, power is what ultimately determines the temperature to which the e-liquid will be heated. Wattage is directly proportional to voltage, meaning that increasing your vape’s voltage will increase the wattage, and thus the temperature of the vapor. At the same time, it is inversely correlated with resistance; this means that the higher your atomizer’s resistance, the lower the power will be. Remember that, while voltage is a function of your vaporizer’s battery, and resistance is a function of the heating coil, wattage is controlled by either of the other two. Wattage is, by definition, measured in Watts. TL;DR: Wattage is an emergent quality of the interaction between the battery and the heating coil of a vaporizer. It is most closely related to the actual temperature of the vapor. So now that we’re all on the same page when it comes to the physics behind vapes, let’s talk about the real thing. There are three main categories of batteries, and they all function a little differently. Variable voltage batteries allow you to adjust the voltage of your atomizer by adjusting how much of the battery’s potential voltage is actually in use. 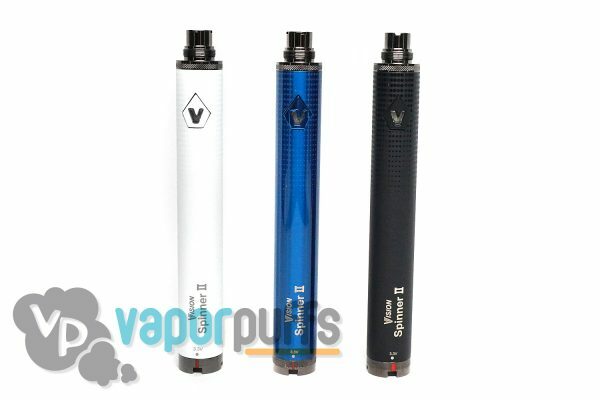 Because of their ease of use and their adaptability, variable voltage batteries are a good idea for most atomizers. With a variable voltage battery you can adjust the voltage within a particular range to suit your personal preference, the type of e-liquid you’re vaping, and the type of atomizer coil you are using. Variable wattage batteries, unlike variable voltage batteries, allow you to adjust the overall heat output of your vaping device. 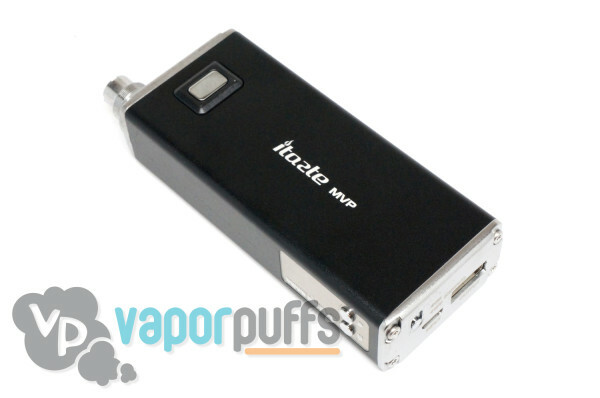 A variable wattage battery does so basically in the same way as a variable voltage battery. The main difference is that while a variable voltage battery can lead to different wattage outputs based on the resistance of the coil even when voltage is kept constant, a variable wattage battery should be able to adjust for changes in coil resistance. It does so by reading the resistance of your coil and then adjusting the voltage accordingly. Some people find this preferable to variable voltage batteries precisely for this reason, but the two types of batteries work in basically the same way. Mostly, it’s a matter of personal preference. 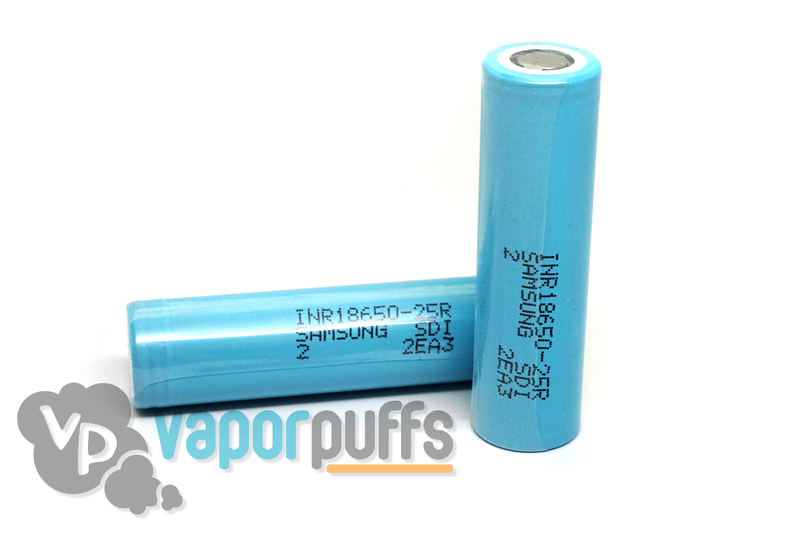 As with variable voltage batteries, most atomizers/clearomizers/cartomizers will work with these batteries. Since variable wattage batteries are a little easier to use than other types of batteries, you might even find that atomizers that have given your trouble with other types of batteries will work wonderfully with this type of battery. Of course, if you’re undecided between variable voltage and variable wattage, you could always go for a vape that gives you both options, like the iTaste MVP 2.0 by Innokin or the iTaste VV3, also by Innokin. These vaporizers allow you to fine tune either voltage or wattage, depending on what makes more sense to you at any given point. Pretty nifty! Fixed voltage batteries are the weirder category, since they are usually used either by total beginners or by vaping enthusiasts. A regular convenience store cigarette-like e-cig, for example, will contain a fixed voltage battery; that should be pretty self-evident, given that there’s usually no way to adjust anything on it. There are other e-cig kits that use fixed voltages (as well as fixed resistances), and these kits are some of the best kits for vaping beginners. The other type of fixed voltage batteries is the type used in mechanical mods, most of which lack a way of adjusting either voltage or wattage. Since people who use mechanical mods will often build their own coils, that is usually where there is some room for adjustment. Different coils will have different resistances, and so will result in different wattages when paired with a fixed voltage battery. Keep in mind, though, that these types of batteries can actually be used with variable wattage mods as well; they are fixed voltage only because they lack a native voltage adjustment. 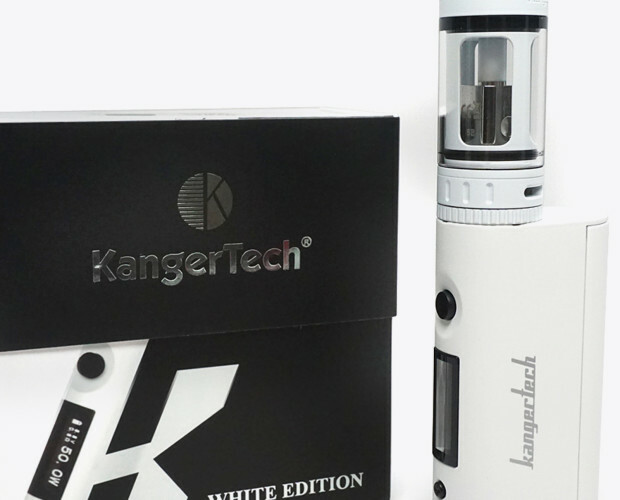 But, as you can see with the new Kanger KBox mod, which uses 18650 batteries, they can definitely be used in appropriate variable wattage mods. The best pick if what you’re looking for is the easiest, most hassle-free vaping experience is, hands down, the fixed voltage kit setup. Nothing beats being able to take your vaporizer out of its box, fill it with your favorite e-liquid, and start vaping right away without having to worry about whether you’re going to burn it, not heat it enough, or anything else that could (but probably won’t) go wrong with other types of vapes. Verdict: Fixed voltage kits win! If adaptability and convenience are what you are ultimately most interested in, you can’t really go wrong with a variable voltage or a variable wattage battery. These batteries will allow you the most latitude in achieving the exact type of vaping experience you are looking for; with a variable voltage battery (and of course also a variable wattage battery), you can go from vaping a slow stream of cool vapor out in public to blowing out satisfying cloud of warm vapor in the privacy of your own home in seconds. Verdict: Variable voltage/wattage batteries win! If huge clouds of delicious vapor are what you’re looking for, your best options are going to be mechanical mods paired with the appropriate battery and a rebuildable atomizer. Of course, this will take a little more work on your part than simply pulling a vaporizer out of a kit and starting to vape, but, hey, at this point you’re probably treating vaping as much as a hobby as it is a relaxing replacement for smoking. This is all not to say that variable voltage or variable wattage batteries cannot produce huge clouds, but mechanical mods with fixed voltage batteries can really help you transcend boundaries when it comes to building massive clouds! Verdict: Fixed voltage batteries in mechanical mods win this one! Was this guide useful? Tell us in the comments, and thanks for reading!